In a previously published article we introduced to multi cloud. In that article we gave example of managing SendGrid from WordPress dashboard using SendGrid WordPress plugin. Mesosphere is a software that expands the cluster management capabilities of Apache Mesos with additional components to manage server infrastructures. 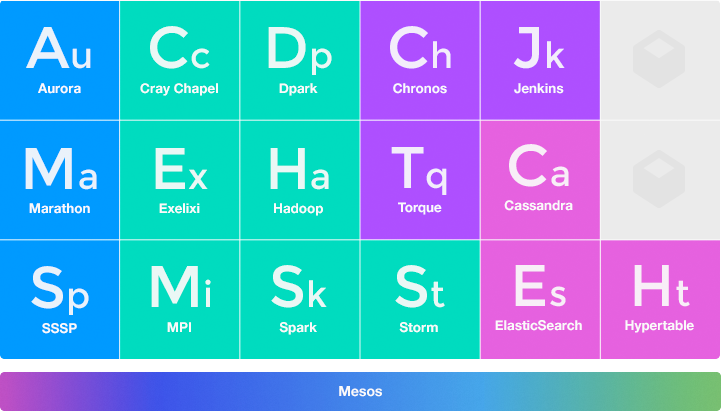 By combining several components with Mesos such as Marathon and Chronos, Mesosphere can scale applications by abstracting the challenges of scaling. Installation is exactly like Apache Big Data tools – Java and Zookeeper (like we needed to install for Apache Kafka on Ubuntu 16.04 guide). We are installing on virtual server or physical server or dedicated server or localhost NOT on docker or some sort of container. Run all commands as root user. wget --no-cookies --no-check-certificate --header "Cookie: gpw_e24=http%3A%2F%2Fwww.oracle.com%2F; oraclelicense=accept-securebackup-cookie" "http://download.oracle.com/otn-pub/java/jdk/8u45-b14/jdk-8u45-linux-x64.tar.gz"
How To Install Apache Mesos With Marathon On Ubuntu 16.04 LTS From Source Code? If you go to http://localhost:8080/ or http://your_IP:5050 you’ll get the thing. This Article Has Been Shared 3207 Times! Cite this article as: Abhishek Ghosh, "How To Install Apache Mesos With Marathon On Ubuntu 16.04 LTS," in The Customize Windows, July 9, 2017, April 21, 2019, https://thecustomizewindows.com/2017/07/install-apache-meos-marathon-ubuntu-16-04-lts/.